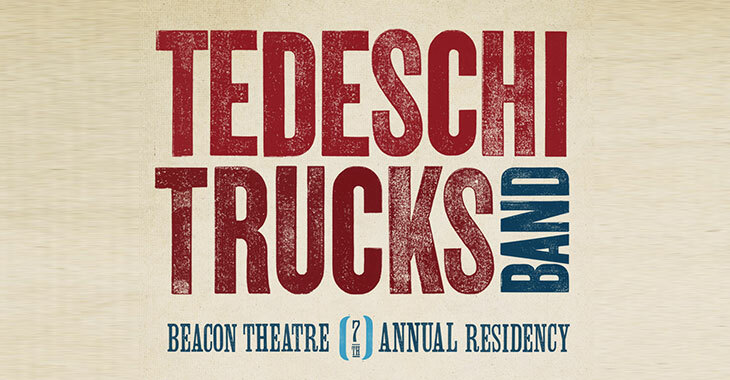 The tradition continues for the seventh consecutive year at the Beacon Theatre with the announcement of a six-night run of performances from Tedeschi Trucks Band at the famed New York City venue. Pre-sales for all six shows begin Tuesday, May 9 at 10am ET on the TTB Tour Page with no code/password needed. The public on-sale for all shows begins on Friday, May 12 at 10am ET. This year’s slate of six shows will once again feature three openers from TTB’s extended musical family – The Wood Brothers, North Mississippi Allstars, Greyhounds – and select weekend nights will spotlight two full sets without support. Of particular note is Wednesday, October 11, “TTB & Friends” as it will mark the group’s 25th show at the Beacon, a milestone the band is looking forward to celebrating with North Mississippi Allstars opening the show and special guests to join TTB for this momentous night.